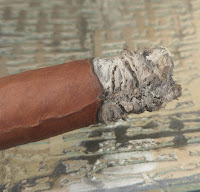 Background: Montecristo is one of those companies that has an immensely rich history in the cigar industry. 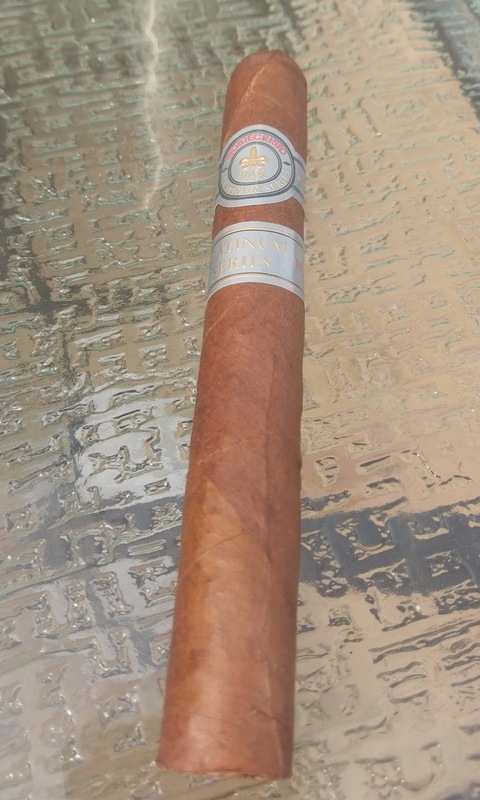 Oddly enough, even with such a storied past and so many years of cigars on the market, this is only the second Montecristo we have reviewed. The first of which was the Montecristo White Belicoso. That doesn't mean that we haven't smoked them, of course. It just meant we haven't always reviewed them. 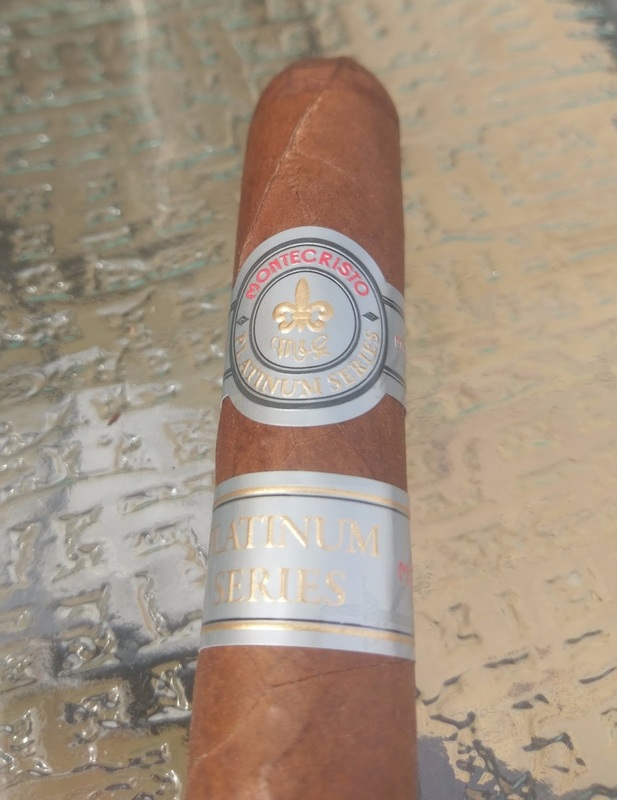 As for this one, the platinum is listed as being a luxury stick. Lets see if it stands up to that marketing. Construction (0-20): Aside from the aforementioned vein issues, the rest looks and feels pretty good. 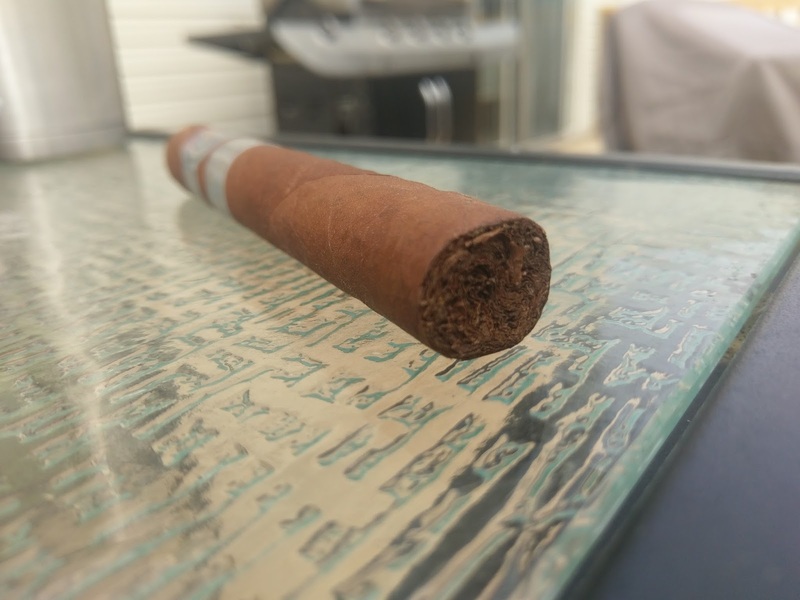 The entire stick feels silky and well packed. From the look at the foot, its well packed and running along the entirety, I wasn't able to find any areas of concern. The prelit draw was perfect and it continued that way throughout the entirety of the smoke. 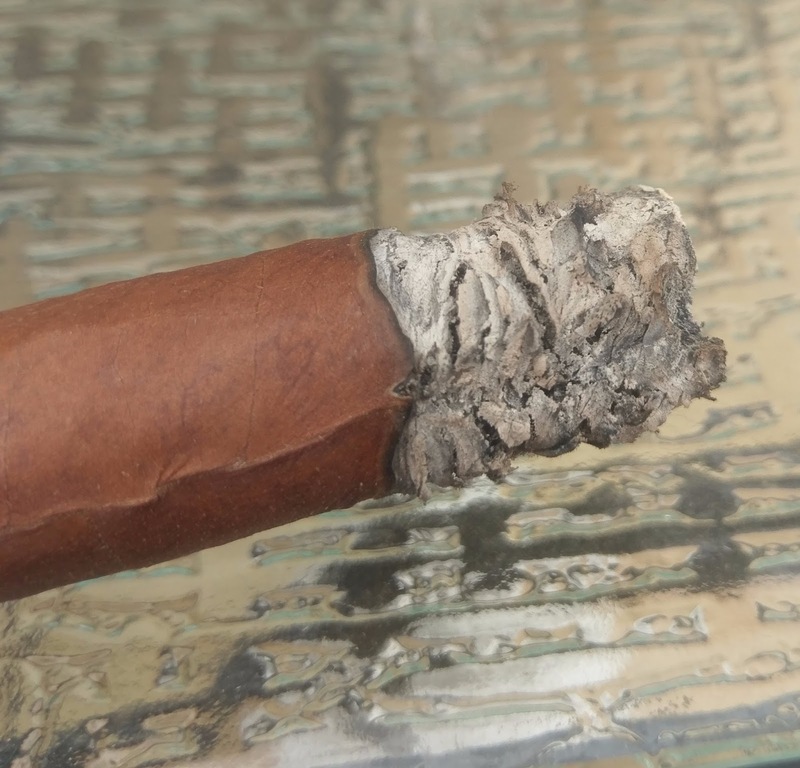 Unfortunately for this one, the ash flaked often and the vein did cause an issue with how the burn, as it left it less stable when smoking. Strength (0-20): Medium - and it actually hits that directly on the head. Actually I don't think it could be a more straight and narrow shot down the center. Flavor (0-20): The initial puffs are sweet and woody, and distinctly so. Its the kind of sweetness you find in a good semi-sweet chocolate. The flavors stay pretty prevalent until around the second third. At that point an earthiness takes over for the wood, while the chocolate remains a central figure. There is a slight bit of leather and some nuttiness that show up, but they are mere side flavors. The final third sees the earthiness fade back again and the wood come to the forefront. It is balanced by the sweetness of the chocolate. The flavors work harmoniously but it is not terribly complex in its changes. 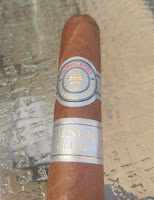 Still, it is a very good stick in terms of flavor. Value (0-20): At nearly the $10 mark - the flavors are there. But it has to fight with other contenders that put out a much more consistent product. It hits more than it misses, keeping this from being a dud on the value perspective - but that doesn't mean its scoring highly. Overall (0-100): Ugh. These are the reviews that I dread. I want to be able to give it a better score based on the flavor being so pleasing (chocolate, wood, earth, nuts) and the strength being directly on the medium mark. The problem is that it lacks in the construction and appearance realm. I had 3 of these and all had the same sorts of issues - which you don't like to see at all when paying almost $10 per stick. It just doesn't work, meaning this one falls short of expectations. While it isn't an outright avoid, I see this more as a stick that I may pick up from time to time in order to catch the flavors, but I wouldn't stock up on them.